So, I have totally bought in to the home automation craze that is currently ‘the next big thing’ in the technology world in 2015. Apple has released iOS 9 with their HomeKit home automation framework, Google have the Nest series of smart devices, and there are numerous emerging competitors and hundreds of devices out there right now that will network together in your home. 1. You speak into the device. Your device will record what you’ve said, and send it to the cloud. 2. In the cloud, sophisticated and adaptive voice recognition software analyses what you’ve said and converts it into text. 3. The text command is run on a server somewhere, for example the command, ‘what is the weather today?’ will fetch the latest weather report for your area and summarise it. 4. The summarised report is converted into speech and streamed back to your device. Apple have Siri, Microsoft have Cortana, Google has Google Now and Amazon have Alexa. These are all voice assistants which utilise the power of big data and machine learning over millions of requests to improve their own accurately. The more people use virtual assistants, the better they get. Apple have been really pushing Siri, including it in the Apple Watch and most recently the new Apple TV. Not necessarily because it’s what people want *now*, but because they are banking on enough people using it so it snowballs into the lead, vastly improves in functionality, and becomes ubiquitous in the home, maybe 5-10 years down the line. Apple’s Siri has reported a 40% reduction in errors recently, meaning only 5% of the words it processes, on average, are misread. This clearly can, and will, improve as more people use it. The speech recognition capability in Siri now has a 5 percent word error rate, thanks to a 40 percent reduction on the part of Apple, Craig Federighi, Apple’s senior vice president of software engineering, said today at Apple’s 2015 Worldwide Developers Conference in San Francisco. Amazon, meanwhile, has the ‘Alexa’ virtual assistant, which seems to have most use in home automation. Although Siri is linked in with Apple’s ‘HomeKit’ automation standard, HomeKit-enabled devices are only just now starting to be released, and reliability is currently a problem. Meanwhile, Google have concentrated on providing a small number of reliable devices in their Wi-Fi enabled ‘Nest’ series. Google’s Nest Thermostat has recently integrated Amazon’s Alexa virtual assistant to recognise speech commands such as ‘turn up the temperature to 20 degrees’. 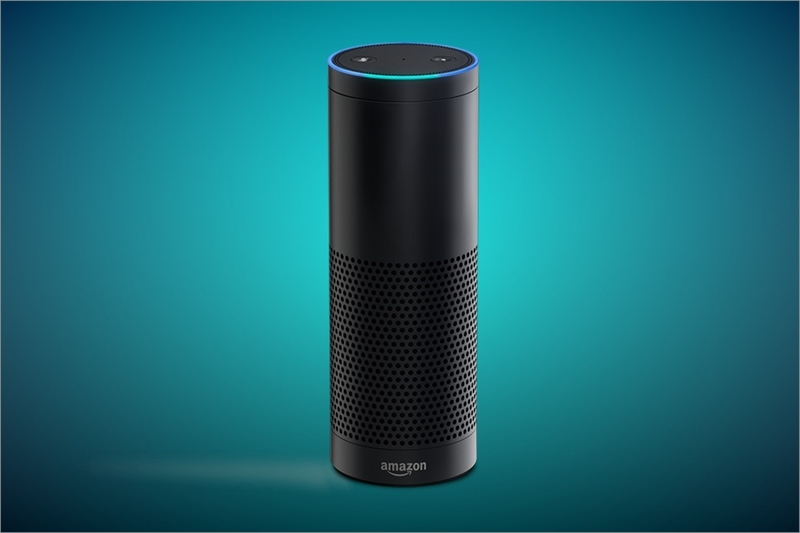 What a lot of people are saying is the ‘killer app’ for virtual assistants is the handsfree speaker and microphone unit ‘Amazon Echo’. Amazon Echo is a small unit with a highly sensitive microphone and speaker, which sits in your living room and you can ‘talk’ to it, just like you would with Google Now or Apple’s Siri. The best thing about Amazon Echo is that it can talk to other smart home devices, such as the popular Phillips Hue lights, the Nest thermostat, various security cameras. It also integrates with the site IFTTT.com which is like a giant patchbay for smart devices, allowing you to connect them together and cause a state in one device to trigger an action. So you can be sitting in your living room, and say ‘Dim all the lights in the house’ and Amazon Echo will do just that. Unfortunately though, due to the fact that it uses Microsoft’s Bing search and doesn’t give you an option to choose a different search engine, it is not legal to sell the Amazon Echo in the UK due to a non-competition covering search engines in EU law. Therefore there is still an open gap in the market for this type of product, one which Apple’s HomeKit and Siri integration is racing to fill. However the closed nature of the HomeKit world means that it is likely that it won’t integrate with the non-Apple setup of Google Nest and others.